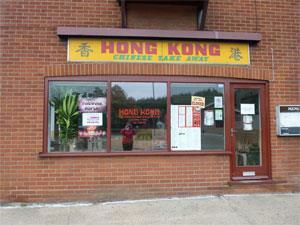 Hong Kong01493 732449work TakeawayHong Kong takeaway in the village of Hemsby near Great Yarmouth, perfect for holidays or just for a treat. Serving Chinese cuisine. Take the A149 out of Great Yarmouth signposted for Caister-on-Sea and follow the signs through to Hemsby. Hong Kong takeaway is located just as you arrive in Hemsby on the slip road on the left hand side before the mini roundabout.